With its Intel Core i5-4302Y processor, the Panasonic Toughpad FZ-M1 offers significantly better performance than Atom-based counterparts. Its small size makes it easier to tote around, whether you're carrying it from house to house checking gas meters or accessing real-time data in a war zone. 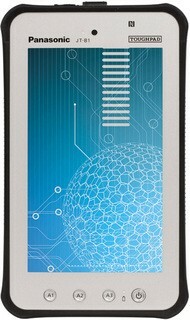 The broad array of modules and accessories that can be added to the tablet offer a robust variety of functions and uses. Compared with larger rugged tablets, however, its Y-Series processor doesn't have a lot of oomph, and the battery life is a bit short. The battery issue is solved in part by the option for a hot-swappable battery, but it's an added expense. 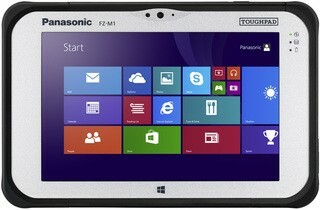 For a fuller PC computing experience, the larger Panasonic Toughpad FZ-G1 remains our top pick, thanks to its superior performance and longer lasting battery. 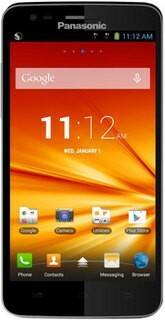 The Panasonic Eluga U is a good phone without a doubt but the bigger question here is if it is worth the price. The competition has stepped up its game and the likes of Xiaomi are offering much higher specced devices for a much lower price point. We were satisfied with the performance and software build on the phone but remain skeptical about the upgrade path to future versions of Android. The camera on the phone too was less than stellar. 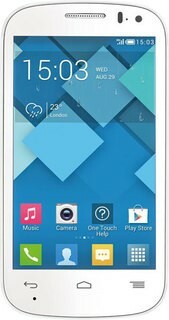 All in all, the Eluga U is a decent offering but we’d find it hard to recommend over the likes of the Xiaomi Mi3 or the myriad other Android phones that offer a Full HD screen, similar specs at a lower price point. The Eluga U is not a high end flagship, far from it, but it is a decent phone. We think that Panasonic needs to rethink its pricing strategy if they want to crack the Indian market. A good product just isn’t enough in a price conscious market like India. Panasonic's latest flagship has many niggles that prevent it from provide a cohesive smartphone experience despite a few redeeming features. The Eluga U's price tag makes it even more difficult for us to recommend. We think Panasonic needs to go back to the drawing board to create a better flagship. There's enough room in the burgeoning Indian smartphone market for lots of players to coexist peacefully, but they won't do well without good products. In an ideal world, you'll use the FZ-M1 to run custom-made applications that are designed with a Windows tablet of this size in mind. If you’re running a small business, though, it’s more likely that you’ll be using off-the-shelf programs and tablet apps, and, when it comes to business, Google Play and Apple’s App Store are far better equipped with such programs than the Windows Store. While the Windows Store does have a section for business apps, including bar code readers, finance and invoicing tools and standard office software, finding tools suited to your needs can be a challenge, especially as the Store is packed with apps that are little more than glorified ads or just placeholders for a standard desktop app that you can download elsewhere. Unless you’re able to deploy applications specifically designed for Windows tablets of this size, the usability of the FZ-M1 is restricted by its screen size. 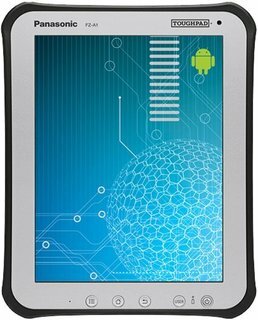 Many small business users will be better served by the Panasonic Toughpad JT-B1 7in Android tablet or the 10in FZ-G1 Windows tablet, which has a screen that is much better suited to desktop use. We quite liked the Panasonic P81. 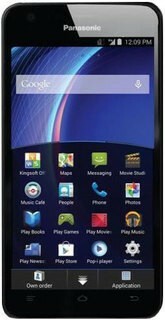 It offers a sensible balance between design, specifications and price point. The design while nothing extraordinary, looks good enough and the slim bezels, faux leather improves ergonomics. 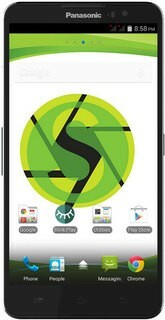 The phone feels great when held in the hand. Performance too is fine for the most part. There were times when we wished that the phone shipped with 2GB of RAM to avoid the intermittent lags. 16GB of storage is also a must in a phone in this category. Additionally, the camera was somewhat lacking when the lighting conditions got tough. The Panasonic P81 is a good phone but lacks a bit too much to be a great one in our opinion. Prospective buyers should also consider other devices in the category including Intex’s Octa Core handset which offers double the storage and RAM at a similar price point. good battery backup and camera quality very high,net spped is very good..
nice phone but it would be better if its cases be available in the market. i've had this phone for almost 3 years, and it gave me no problems whatsoever. Plain, reliable, good reception. My only complaint was a short battery life; it lasted 2 days at most. too bad, rogers discontinued their TDMA service and I had to switch to GSM phone. Lots of bells and whistles here, but best for those with good vision. Pro: loudness,fastness,littleness Con: dosent have a camera, colour My dad got me this phone so my motorolla v3 razor didnt get stollen at school. Its a funky little phone and has evrything you need.Its fast working and as loud as could be and is definetly a great phone. Damn, now that I have to replace it I can''t find anything like it. Voice memo button is great, and I can''t find it on anything else. Speakerphone is good too. Only thing lacking is long battery strength. Never buy a PANASONIC ELUGA NOTE if you are interested in taking photographs. Both front and back cameras are the worst ones I have seen so far. No clarity, no sharpness. 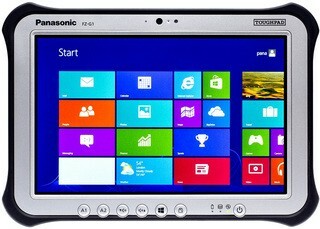 Visit the Panasonic Q&A Forum to get answers, ask a question or help others.